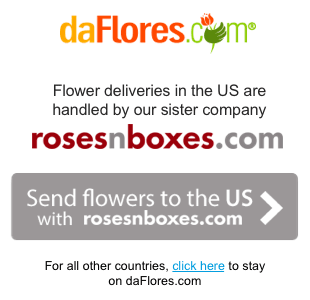 Flower delivery in Honduras is easy with daFlores.com, where we pride ourselves on our quality and service. Taking care to pick only the best international florists in Honduras, we produce amazing, hand-crafted bouquets for birthdays and special holidays. When you send flowers to Honduras with daFlores, you can take advantage of years of experience at your happiest and saddest times. Florists in Honduras benefit from the beautiful flowers here, the result of a special mix of landscapes in this Central American republic. The country touches the Pacific on one side and the Caribbean on the other, for an interesting mixture of tropical flowers and temperate blooms. Rivers criss-cross the country, which has seen many settlers. At its base, Honduras has a tropical climate, but its soaring mountains offer more temperate zones. Eco-tourists will find diverse flora and fauna in the rainforests: La Mosquitia is home to the Rio Platana Biosphere Reserve, a UNESCO World Heritage site. But to send flowers to Honduras, they'd be better off turning to us. Honduras produces precious and other metals, along with seafood and hydro-electric power. It's home to nearly six thousand species of plants!The name of “biodiversity hotspot” is well-deserved here. With all that natural bounty, it's clear that daFlores' florists in Honduras will bring you the best hand-crafted bouquets for celebrations. Here's how we do it. First, we pay personal visits to all our florists in Honduras. We won't even visit if they haven't been in business a decade or longer, and they must always use fresh blooms daily for your flower delivery in Honduras. We see if we like what they have to offer, and only use one vendor per city or town. That way, they can concentrate on producing the best custom-made flower arrangements for you. We take the order through our United States office, pass it on to Honduras and, sometimes as early as same-day, we send your flower delivery in Honduras. Couple that with Spanish- and English-language customer service and a great attitude – we guarantee 100 percent satisfaction and love what we do -- and we're well ahead of the pack. Whether you send flowers to Honduras for Independence Day on September 15, or need flower delivery in Honduras for a romantic occasion, daFlores has you covered. It's easy to arrange a flower delivery in Honduras: Just browse to our main page, select Honduras from the list of countries, and start browsing by price, flower type or occasion. 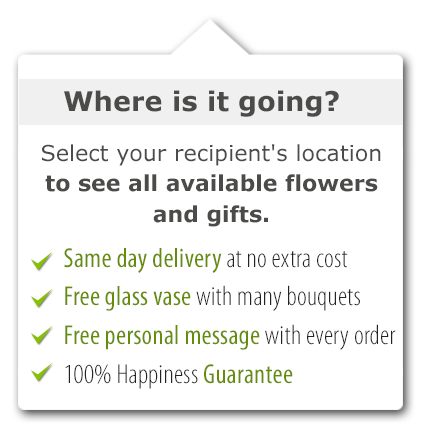 And, after you make your flower selections, you can be sure your loved ones will be over the moon with the best flower delivery in Honduras. 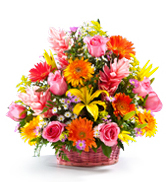 Same Day Flower Delivery to all cities in Honduras. Para ver esta página en Español, favor visitar nuestra página de Enviar Flores a Honduras.